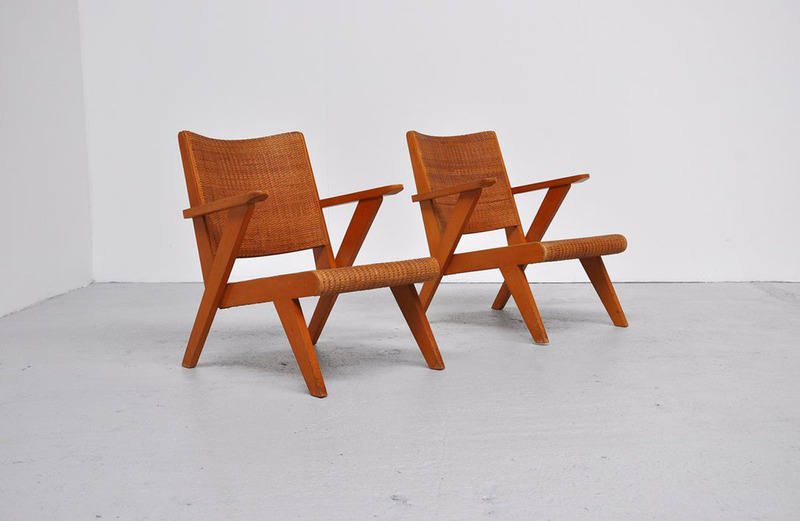 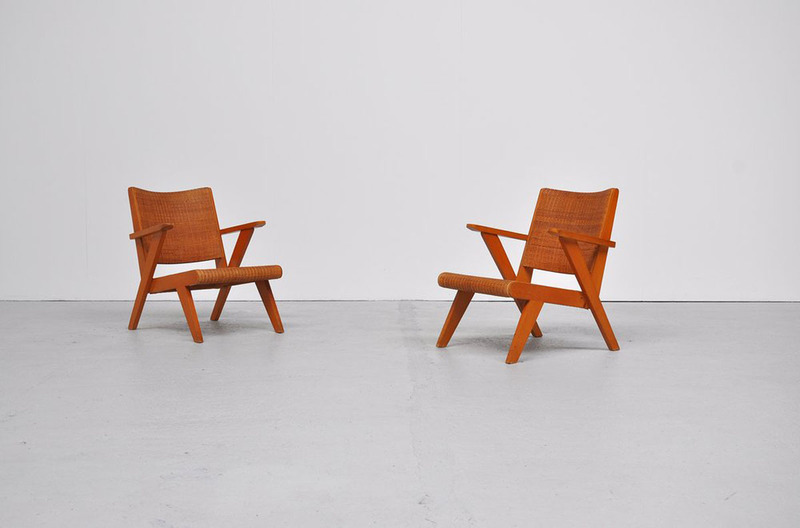 Fantastic chairs set designed by Dirk van Sliedrecht for Rohe Noordwolde ca 1950. 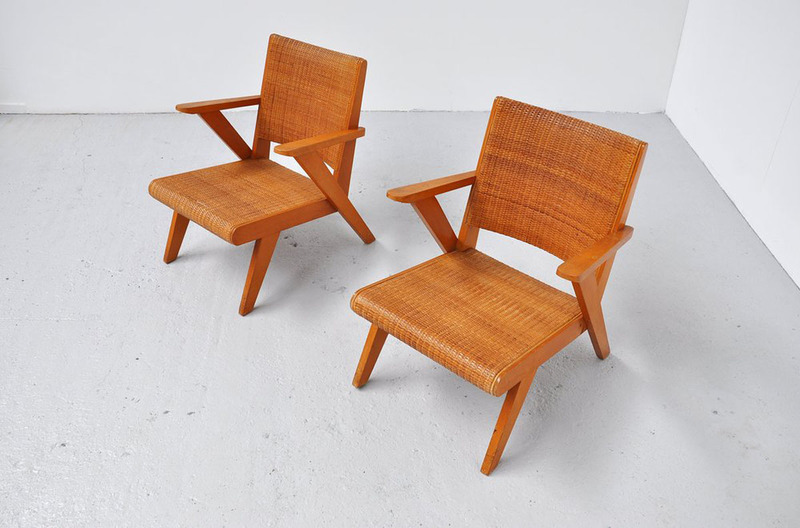 These chairs are inspired by the well known chairs by Pierre Jeanneret. 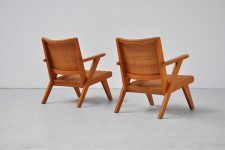 These are made of beech wood and cane seat and back. 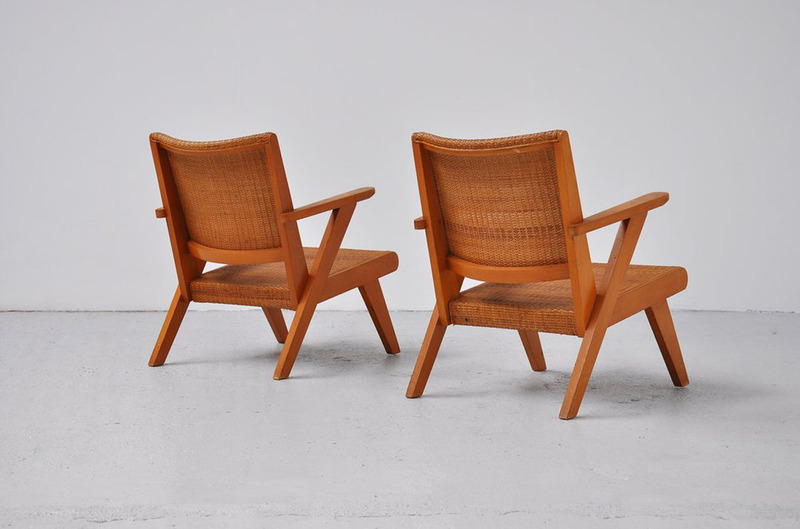 Very well made, in good condition. Sold as set.